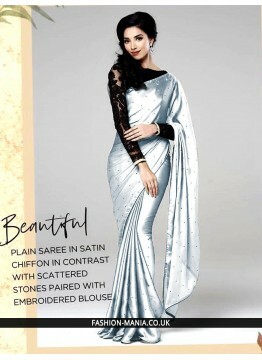 Shine bright like a diamond this season, with this glistening satin saree paired with an intricately.. Precise splendor comes out of your dressing trend with this mint brown and cream fancy fabric classi.. 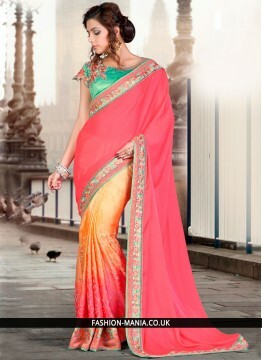 Outstanding craftmanship of embellishments exhibited in this orange faux chiffon and faux georgette .. Style and design and trend will be at the peak of your elegance as soon as you dresses this orange a..
Be the sunshine of anyone’s eyes dressed with this desirable multi colour georgette printed saree. B..
You are bound to make a impressive fashion statement with this rose pink fancy fabric classic design..